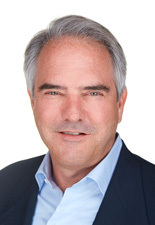 Mr. Rau has served as the interim President and Chief Executive Officer of TiVo since July 2018 and a member of the Board of Directors of TiVo since May 2015. He served as Chief Executive Officer of SeaChange International Inc., a video software technology company, from November 2011 to October 2014 and was a member of its board from July 2010. Previously, Mr. Rau held a number of senior leadership positions with Motorola Inc. from 1992 to 2008, including Senior Vice President of Strategy and Business Development of the Networks & Enterprise business, Senior Vice President of the Mobile TV Solutions business, and Corporate Vice President of Marketing and Professional Services. Mr. Rau currently serves as a director of Quantum Corp., a storage, archive and data protection company. Mr. Rau holds a bachelor's degree in engineering from the National Institute of Technology (India) and an MBA from the Indian Institute of Management (Ahmedabad). Mr. Halt has served as our Chief Financial Officer since May 2012. He joined the Company (then Rovi Corporation) in May 2008 in connection with the acquisition of Gemstar-TV Guide International, and served as the company’s Senior Vice President and Chief Accounting Officer from 2008 to 2012. Mr. Halt previously served as Senior Vice President, Finance and Chief Accounting Officer at Gemstar from March 2004 to May 2008. Prior to joining Gemstar, Mr. Halt served in various capacities at Sony Pictures Entertainment, including as Chief Financial Officer of Sony Pictures Digital Entertainment from November 2000 to November 2003, and as Corporate Controller of Sony Pictures Entertainment from July 1997 to November 2000. Mr. Halt holds a B.S. in Business from the University of Southern California. Mr. Hawkey is the Senior Vice President and General Manager of the User Experience team at TiVo. He has extensive experience managing the engineering and design of software systems, mobile applications and cloud based services for the digital entertainment market. Most recently, Mr. Hawkey was Senior Vice President and General Manager for Sling Media, a division of EchoStar Corporation. During his tenure of leading the executive management team of Sling Media, he oversaw all aspects of product development, engineering, service operations, sales and marketing, and managed the multi-year roadmap for consumer growth across the globe. Prior to this role, Mr. Hawkey worked as Vice President of Marketing and Sales for EchoStar Technologies, leading a global team across satellite, IPTV and cable set-top-box markets. He has also held leadership positions at Advanced Digital Broadcast (ADB) Americas and STMicroelectronics. Mr. Hawkey holds a B.S. in Computer Engineering from Rose-Hulman Institute of Technology. 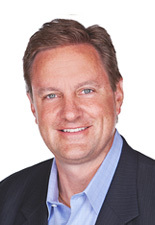 Mr. Horstman leads TiVo’s Advanced Media and Advertising team to improve consumer discovery and engagement with content through conversation, search and recommendations and to increase advertising targeting and effectiveness with advanced data across all devices and platforms. He oversees the business’ strategic product roadmap and manages overall business group operations. Previously, Mr. Horstman was President of AudienceXpress, which he built as an entirely new business for Visible World. AudienceXpress is a leading programmatic TV platform, which automates planning, buying, optimization and daily reporting of data-driven TV campaigns across the country. Prior to that, he served as Senior Vice President of Media Solutions at Visible World, a TV technology company that provides advertisers with targeting and customization solutions for their TV messages. Visible World and AudienceXpress were acquired by Comcast. Additionally, Mr. Horstman held senior positions at both Cablevision and Accenture. Mr. Horstman holds a B.S. in Economics and German Literature from Amherst College and a M.S. in Business Administration, Marketing and Technology Management from the Stanford Graduate School of Business. He also spent time studying German Language and Literature at Freie Universität in Berlin, Germany. Mr. Matthews has served as our Executive Vice President, Strategy and Corporate Development since September 2014. Prior to joining the Company (then Rovi Corporation), he served as Senior Vice President of Strategy and Corporate Development for ARRIS Group, Inc., where he worked from April 2013, when ARRIS acquired Motorola Mobility’s Home business from Google. 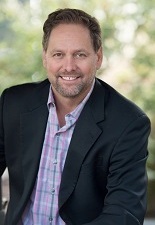 From June 2012 to April 2013, Mr. Matthews served as Vice President Converged Solutions Finance for Motorola Mobility (while it was a subsidiary of Google). Previously, Mr. Matthews worked as Vice President Convergence Strategy for Motorola Mobility and in various capacities at Motorola, Inc., including Vice President Home and Networks Strategy, and Business Manager, Optical Transport Products. Prior to joining Motorola in 2002, he was the Chief Financial Officer of Synchronous, Inc., an optical networking equipment manufacturer. Mr. Matthews spent 10 years with Arthur Andersen in its software and Internet technology corporate finance practice. Mr. Matthews holds a B.S. in Business Administration from the University of Colorado at Boulder. Mr. Milne has served as our Chief Revenue Office since January 2017. He joined the Company (then Rovi Corporation) in February 2011, in connection with the acquisition of Sonic Solutions, and served as Senior Vice President, CE Sales until his promotion in January 2012 to Executive Vice President, Worldwide Sales and Marketing. Later in 2012, he added worldwide product management to his responsibilities. In September 2016, he assumed the role of SVP and GM of IP Licensing where he served before taking on his current role. He originally joined Sonic through the company’s acquisition of DivX in October of 2010, serving as Executive Vice President and General Manager of DivX. Prior to joining DivX, Mr. Milne served as Senior Vice President of Sales and Marketing at MediaFLO USA, a wholly owned subsidiary of Qualcomm Incorporated. Prior to that role, he served as President of Americas for Viewsonic where he led regional sales, marketing, product and channel development for the company. Mr. Milne has also held various senior sales, marketing and product positions at Gateway, Inc., Cameo Technologies and Western Digital. Mr. Milne holds an MBA from California State Polytechnic University, Pomona and a B.A. in business from California State University, Fullerton. Arvin Patel is the Executive Vice President and Chief Intellectual Property Officer at TiVo, where he is responsible for TiVo’s patent and licensing business. In this position, he oversees the growth and integration of TiVo’s intellectual property assets across strategic focus areas. 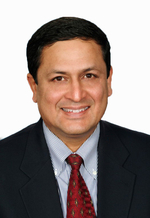 Prior to joining TiVo, Mr. Patel served as Chief Intellectual Property Officer at Technicolor, where he was widely recognized as an expert in intellectual property strategy. Before that, he was the Senior Vice President of IP and Licensing at Rovi Corporation and has served as the Global Head of IBM’s IP strategy group, where he executed key patent licensing and divestiture deals worldwide. Mr. Patel has a B.A. in legal studies from the University of California, Berkeley, a doctorate in law from the California Western School of Law and has received several certifications from Harvard Law School. Connie Puglia is TiVo’s Senior Vice President and Chief Human Resources Officer, overseeing all aspects of the Global Human Resources and Real Estate & Workplace Services. 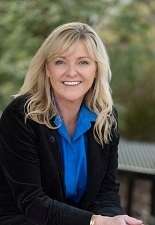 Connie comes to TiVo with more than 20 years of proven success in designing and implementing global HR models and strategic plans that deliver improved business results in rapidly growing, transforming, and disruptive companies. 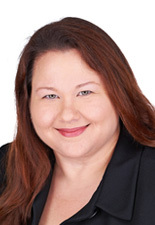 Prior to TiVo, Connie was Global Vice President, Human Resources at NetApp, supporting all Global Product Operations and General & Administrative functions. She designed organization structures to support the new business strategy, introduced workforce analytics, and implemented predictive resource models to drive business decisions. Prior roles include global HR leadership at Avaya, Zipcar and Aspect Software where she was responsible for organizational change strategies, leadership development, and strategic talent management initiatives. Connie holds a B.S. in Management from Merrimack College in Andover, MA. Ms. Sergeeff has served as our Executive Vice President, General Counsel since December 2013. Ms. Sergeeff joined the Company (then Macrovision Corporation, the predecessor of Rovi Corporation) in 2003. She has held various positions in the legal group from 2003 to 2013, including serving as Senior Vice President and Associate General Counsel from March 2011 to December 2013 and as Vice President and Associate General Counsel from July 2007 to March 2011. Ms. Sergeeff also serves as the Company’s Chief Compliance Officer and Corporate Secretary. Ms. Sergeeff holds a B.A. in Economics from the University of California, Los Angeles and a J.D. from the University of California, Berkeley School of Law. Ms. Sergeeff is a member of the California State Bar. To speak to a member of our Executive Relations team press "Contact Us" and complete the form. Someone will respond within 24 hours; please allow the next business day for weekends and holidays. © 2019 TiVo Corporation. All Rights Reserved. TiVo Makes Network Comedies Available at Your Fingertips! TiVo Research & Analytics Releases First-Ever "State of TV Report"
TiVo Partners With HSN to Empower Users to Browse, Click and Shop! TiVo: "I'd Like to Thank the Academy..."
RCN Deploys TiVo's Ultimate Whole Home Solution in Washington D.C.
NBC vs. ABC vs. BBC: What Networks Were the Royal Wedding "Winners and Losers?"